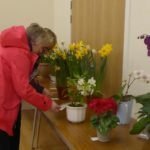 Despite unusually cold weather before Bellochantuy SWI’s annual bulb show, the bulbs, flowers and floral arrangements blossomed. 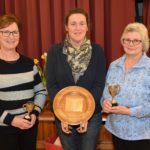 Other classes in the recent competition in Glenbarr Hall included art, photography, preserves, baking, knitting, embroidery and sewing. Mrs E Semple and Mrs J Ronald from Southend SWI judged the show after which they took great care to explain their decisions and to advise on improvements where necessary. The best plant in the show was won by Patricia Fair and the best exhibit was a child’s pinafore made by Libby Kerr. Results: Foliage pot plant: A Smith – Silver; P Fair – Silver. Flowering pot plant: M Littleson – Gold; L Kerr – Red. Small flower arrangement: L Fell – Gold; D Roberts – Silver. Bowl of spring bulbs: P Fair – Gold. Five trumpet daffodils: L Kerr – Silver. Photography: D Roberts – Gold; L Fell – Silver. Art: L Kerr – Gold; L Bryce – Silver. Special competition: Family heirloom: L Bryce – Gold. Knitting: Cushion cover: L Fell – Gold. Knitted article in black/white: L Fell – Gold; L Kerr – Gold; M McKinnon – Gold. Embroidery, ribbon: J Macrae – Gold; E Hemmings – Silver; P Fair – Silver. 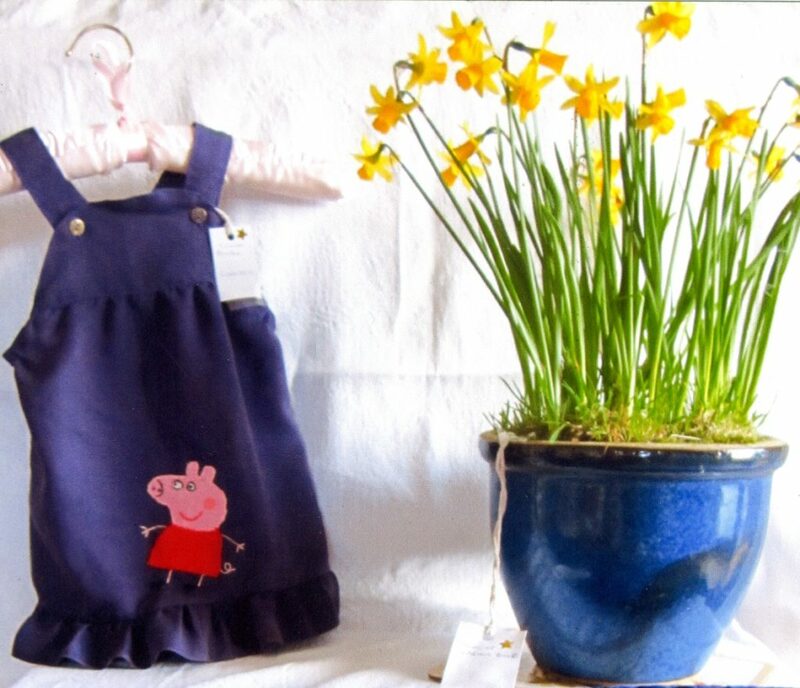 Sewing – child’s pinafore: L Kerr – Gold. Baking: Gluten free muffin: L Fell – Gold. Battenberg cake: L Fell – Gold; D Roberts – Silver. Gingerbread man: L Kerr – Gold; M McKinnon – Silver; L Fell – Red; E Hemmings – Red. Preserves: Jelly, any flavour: L Kerr – Gold; M McKinnon – Gold; D Roberts – Gold. Confectionery: Coconut ice: D Roberts – Gold; E Hemmings – Red. The next meeting will be the AGM on April 15 at 7.30pm in Glenbarr Hall.